And I won’t hold you in suspense any longer…the complete idiot, of course, was/is me. This just gives us more proof that if I can do it, YOU can do it too. Last week during the takeover of my new business venture, I managed to send out a promotional email with the incredible subject line, “test”. Oh yeah, who’s your favorite website business building expert? My business partner was not impressed. But the numbers don’t lie. It was still a successful endorsement, and I’m not sure how much more money it would have made if I had sent the email with the correct headline. Anyways, there’s no point in dwelling on the negative and I can’t change the past, so let’s look on the bright side. After all, at least the affiliate links worked. That’s always the most important part of the email when it comes to sales. 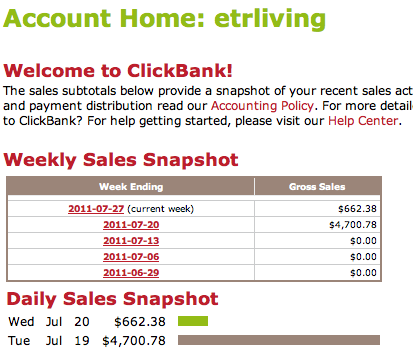 And most importantly, the $4700 in sales in 24 hours, which has grown to over $6600 in just over a week. How did i pull this off? By sending out an email that was so compelling that even the world’s worst headline could . I vaguely remember another email newsletter I subscribe to recently used the same headline, and guess what? I opened that email. I just had to. After all, who sends out an email titled “test”? So you know what, I just might use this “test” headline again in one of my other businesses (but not one where I have to answer to a partner). Regardless, it’s days like these that I can’t thank Al Gore enough for inventing the internet. Or emails get sent out at the wrong time. Product launches go wrong (they always do). You can’t win ’em all, but you can only win ’em if you get in there and play the game to the best of your ability.